Clients facing a judgment from a lawsuit often ask if those judgments are considered debts that are dischargeable in bankruptcies. Clients generally fear that if they do not file for bankruptcy before a judgment is entered, then that judgment automatically becomes a lien, which eliminates their chances in bankruptcy court. The truth is not so clear-cut. While a state court judgment can become a lien and may be nondischargeable, it depends on the circumstances of the case and the actions taken by the creditor. Chapter 7 bankruptcy automatically discharges qualifying unsecured debt. 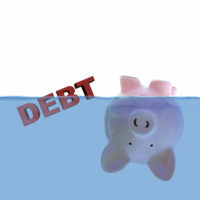 Unsecured debt means debt that is attached to you generally but not tied to a specific piece of property. Credit card debt is one example of unsecured debt. A lien is a notice that attaches to your property, such as your house or car, and tells the world that you owe a creditor money and that they have the right to collect this property if you fail to pay. That lien converts the debt from unsecured to secured and means they get a cut of the sale proceeds if you sell the property. Secured debt is not automatically discharged in bankruptcy, although there are ways to eliminate liens as part of a bankruptcy proceeding. As long as there is no lien, then the debt is unsecured and may be dischargeable depending on the type of debt. The question turns on the nature of the debt, not whether a court has ruled on the merits of the claim. Child or spousal support, debts to government entities, and student loans (with exceptions), as well as debts incurred by fraud (if proven to the bankruptcy court), are not dischargeable, whether or not there is a judgment backing them up. On the other hand, credit card debts that are incurred honestly are dischargeable, regardless of whether there is a judgment. An abstract of judgment or a notice of judgment lien are documents that create a lien on the judgment debtor’s assets. The creditor must record the document; a recorded abstract of judgment creates a lien on real property in the county, while a recorded notice of judgment creates a judgment lien on personal property located in the state. Even if there is a lien on your property, you may still be able to avoid the lien in a bankruptcy proceeding. If you can prove: 1) that the lien comes from a money judgment issued against you (rather than by consent or settlement); 2) that you have property equity that you can claim some exemption against; 3) and that the judgment lien encroaches on some or all of the equity that you could have exempted, you maybe able to “avoid” the lien, which gets rid of the judgment lien in the bankruptcy. A dedicated bankruptcy attorney can help you with your case and determine how best to protect your property and maximize your discharge of debt in your bankruptcy. If you or your company are struggling with debt and considering bankruptcy, please contact Rounds & Sutter for a free, confidential consultation. With offices in Ventura, Santa Barbara, and Westlake Village, we represent clients throughout Southern California, offering smart, compassionate legal counsel in the face of life’s challenges.